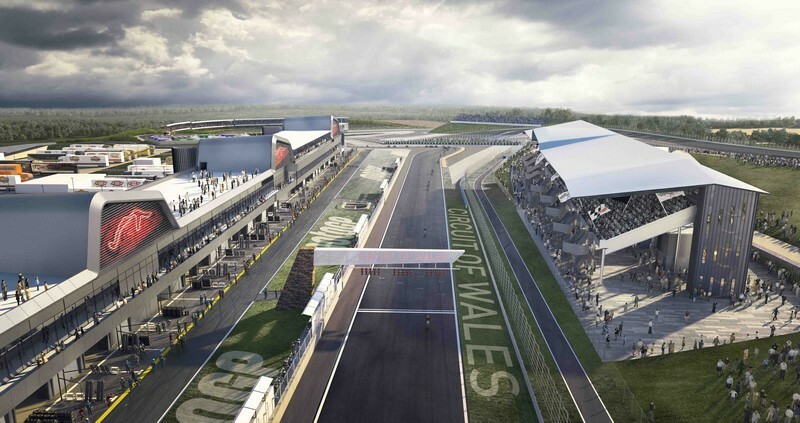 Welsh Government has turned down backing for the proposed Circuit of Wales, writes Robin Roberts. Welsh cabinet politicians yesterday (Tuesday 27 June) said the deal was too risky and it questioned the claims about thousands of jobs being created during and after the £400 Million project was built, and likely spectator numbers bringing in money. It has taken over six years for the scheme to get from nowhere to nowhere and despite a £9 million initial grant by Welsh Government, for which it was heavily criticised by the Welsh Audit Commission, and up to £55 million being spent on the project. 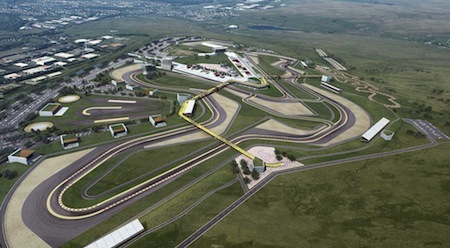 Circuit of Wales was proposed by the Heads of Valleys Development Company with a specific view of bringing MotoGP and other bike and car events to a new circuit. That would have been built on about 800 acres of land on the highest part of South Wales and overlooking Ebbw Vale. Developers proposed boosting income and jobs with the creation of an automotive manufacturing hub, test facilities, an adventure centre and hotel complex within the boundaries. It is unclear which, if any, of these will now be built but they seem unlikely. CoW initially said it would be privately funded with some Welsh Government assistance, but then wanted the whole cost underwritten before renegotiating earlier this year for half the cost to be guaranteed by public money. Also uncertain is the future of the CoW rights holders to MotoGP in Britain, as they wanted their new track to host the event which has been based at Silverstone for many years. The rights holders will have to find millions of Euros to keep their control of the UK round and Silverstone will be keen to retain the round as well, but it is expected talks will now proceed on a different basis to what has gone in recent years. In a written statement from Mr Ken Skates, Cabinet Secretary for Economy and Infrastructure, he said the amount of money requested would be equivalent to major spending on schools and housing projects for thousands to benefit but the CoW project was too risky and the jobs figures were unrealistic. It conducted a due diligence study into the scheme and analysts said the true cost to Wales if the project failed would be £373M in total. Instead, Welsh Government will push ahead with an automotive enterprise zone creation at Ebbw Vale. This will have with funding of £100 million over 10 years, with the potential to support 1,500 new FTE jobs with the delivery of 40,000 sq ft of manufacturing space on land currently in public ownership. Welsh Conservatives immediately challenged the thinking behind rejection of the project by the Labour led Welsh Government. Shadow Economy Secretary, Russell George, said, “This decision immediately contradicts evidence given to the Public Accounts Committee by James Price yesterday, who claimed that the £55 million spent to date on the Circuit of Wales had represented good value for money, and provided a significant project that is ‘ready for delivery’.